Protein Powder: Real Food? Review Finds Best Natural Option! Whether you believe protein builds muscle and should be added to drinks or not, I think we can all agree that it’s necessary. My husband works out fairly regularly and has always done the protein shake thing to build muscle afterward. Over the years I’ve stuck my nose in and asked him to try many protein powders that were more natural than the conventional ones found on the shelf, and we’ve certainly had some successes and some failures! 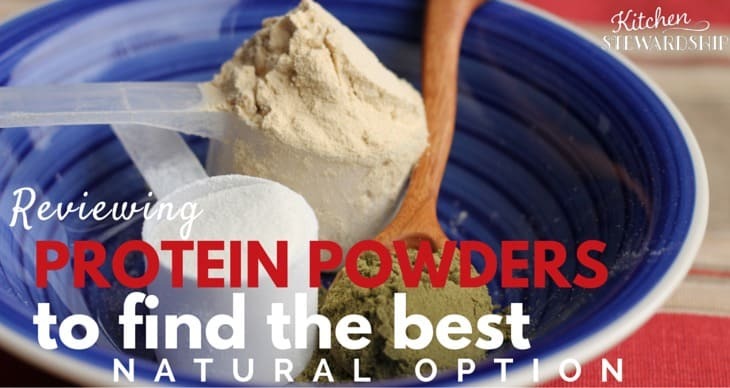 Along with recommendations from readers and my team, here are hubby’s personally tested reviews of some natural (and not-so-natural) protein powders – and we do think we found the best one, hands down, without question. 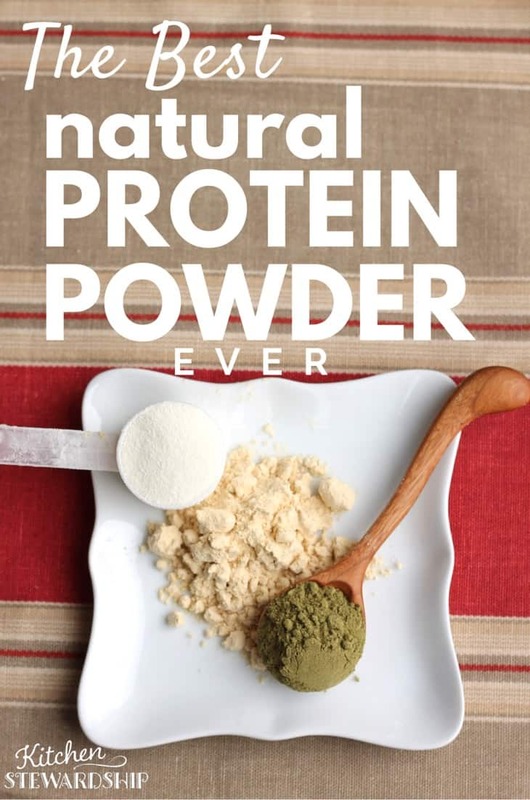 Just so you know, my husband always loved the off-the-shelf protein powders with vanilla flavoring and plenty of sweetener (the one time that artificial sweeteners often got past him without him hating it!). So it’s a challenge for an unsweetened, unflavored protein powder to score decently at all with him. I asked him to try each one in the exact same way, with a cup of milk and nothing else added. Texture: Can be a little grainy; left a little residue on the bottom of the glass when finished. Dissolvability: Mixes well with a spoon (which can’t be said about all of them and is a nice break from having to get out a power tool). Taste: Yuck! Tastes like peas – we even tried mixing it into chili but it just soaked up all the liquid and made the entire batch taste like…peas. Another test time he wrote, “Tastes and smells like animal food.” It would be interesting to try the chocolate version, but I can’t imagine anything the company could add could hide that pea flavor! Texture: Fine. But since it’s so hard to mask the flavor, who really cares? Dissolvability: Must be shaken; only dissolves so-so. Find chocolate or plain on Amazon. Taste: It’s “ok” in coffee and deemed downright “not drinkable” in plain milk. Hubby always preferred it like this. Texture: A bit chalky in straight milk. Dissolvability: Must be shaken, but really good and smooth after that! Taste: Better than hemp or pea proteins, but still not delicious. Always in coffee. Dissolvability: Must be shaken but does get smooth. Taste: Better than pea protein. Has a “healthy” taste that I like to hide in coffee. Dissolvability: So-so, must be shaken. Details: Unflavored, unsweetened, plant-based, soy-free ($.54/oz.). Save more by buying 3 (25% discount). Taste: A pleasant surprise! 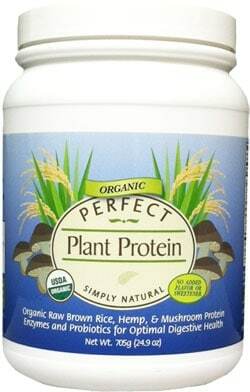 My husband had thought all hemp protein powders were pretty gross, but the vanilla flavor on this one worked to overcome most “hemp-y” taste and smell. It got a “pretty good!” rating from him. Dissolvability: He had to shake it multiple times, and there weren’t any huge chunks left but some small ones. 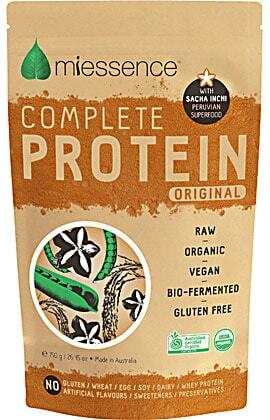 This brand might be better with a quick whiz in an immersion blender or a real blender if you’re willing to dirty appliances for your protein drink. Check out more details and ingredients here. Use coupon code KS10 for 10% off your order at Perfect Supplements! Note: There’s a code in my email for 20% off just the protein powders! Use PPP20 to get it, but I’m not sure of the expiration date. It worked on 4/19/16. Taste: Good – on par with the old conventional powders hubby was used to. Texture: Needs to be shaken well or whizzed with an immersion blender, but fairly smooth after that. I wasn’t sure whether I should title this one “control” or “oops.” We ordered it from a “natural” online shop and I guess I didn’t scour ingredients like I usually do! It’s totally a conventional protein powder but made for a good comparison since it happened to be in the house. Taste: Great – likely due to all the artificial ingredients such as Acesulfame Potassium and sucralose. This is a conventional product that many people grab. Texture: Of course, perfect and smooth. But we wouldn’t – couldn’t! – recommend it because of artificial sweeteners and unnatural protein sources. The winner is the one that had no taste, mixed in perfectly smooth so that we couldn’t even tell it was there, is perfectly natural from trusted sources, and packs a punch with massive amounts of protein per serving. It came out of nowhere as a surprise addition to our list, because it’s not something often billed as “protein powder.” In fact, I am glad now that I didn’t put this review together last year when we started working on it, because I would have totally missed this and ended up giving you only a handful of mediocre choices instead of a clear conqueror! Collagen (use the coupon KS10 for 10% off!) is the protein from bone broth once it’s been sort of over-boiled so that the gel part of the gelatin (use the coupon KS10 for 10% off!) breaks down, but all the proteins and health benefits for joints, skin and hair are still there. No change in consistency of the milk (or whatever liquid you choose). By well-sourced, I mean that the cows are grass-fed and sustainably sourced, very important when you’re using animal products in my opinion. 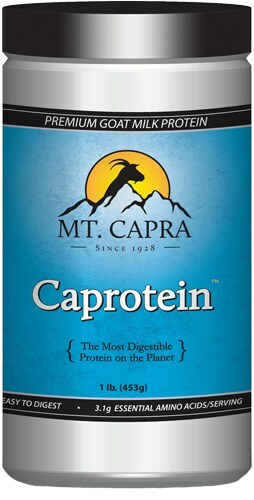 Details: Unflavored, unsweetened, 10 g. protein/11 g. serving – 97% protein ($1.67/oz.) Save 25% by buying 3! 100% satisfaction guarantee! Texture: No change in starting liquid. Dissolvability: Perfectly with a spoon – the bonus to collagen peptides over gelatin is that they dissolve in cold liquids as well, and do NOT make them gel. Dissolvability: Perfectly with a spoon. 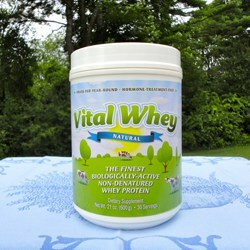 Take 10% off your Vital Proteins order with coupon code VPKS10! I strongly encourage you to look for real food sources of protein if you are looking to increase your protein intake by supplementing outside of regular meals. Read your labels regarding refrigeration after opening. Many of these more natural ones require that but it wasn’t something I realized. Stay away from soy protein – too many questions about its safety, especially for women. 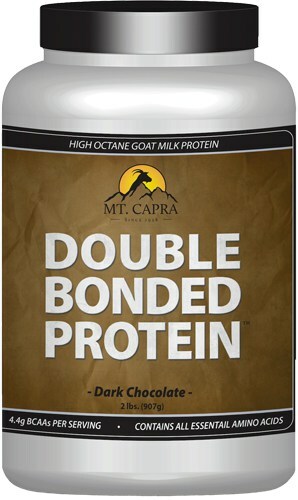 Consider how the protein was processed – many “whey” based proteins are spray dried at high pressure and can cause oxidation and create free radicals. Always check your sweetener – look for NONE, fruit sources, stevia, monkfruit, etc. Stay away from the artificial ones like sucralose, Nutrasweet (aspartame) and acesulfame potassium. Do you recognize the ingredients? If animal-based protein, were the animals well-sourced? Protein from whole foods cannot go unmentioned. Shakeology – vegan options, stevia-sweetened (if you try this one, which comes highly recommended from quite a few real-foodies, it’s via Beach Body – and you gotta check out my dear, dear friend Liz’s home biz. Her weight loss story, which is ongoing via her Facebook page, is inspiring and I hope you love her as much as I do!! More options can be found in our Facebook discussion. Do you use protein powders? What’s your favorite and why? Winners have been emailed with redemption instructions. Didn’t win? You can still get 20% off your entire purchase at EnviroKlenz with coupon code ks2016. Enjoy! Disclaimer: We here at Kitchen Stewardship are not doctors or nutritionists. Please do your own research and consult your doctor when adding supplements to your diet. Thanks for the review. I’ve been trying to find healthy alternatives for my son (23) who is a weight lifter. He has some physical and mental health issues, in addition he is on the autistic spectrum and is sensitive to taste, odor, and texture. The collegen as a protein source looks promising. Question: what does your husband use for pre-workout? My son uses some caffeinated energy powder. His sleep doctor warned him against caffeine due to his sleep problems, varied work/sleep schedule, and interaction with his bipolar meds. But he complains that his energy levels can drop at anytime and if they do when he’s scheduled to workout he needs an option. Any suggestions? Interesting, Holly, I hadn’t heard of that one! The ingredients almost sound like there is some collagen (if not 100% collagen) in there! Thanks! Thanks for this article! I’ve been on the search for a gluten free, dairy free, soy free, stevia free protein powder that wasn’t junk. I’ll look to see if collagen products are available up here in Canada. Thanks! P.S. I didn’t like the pea protein one I got either. 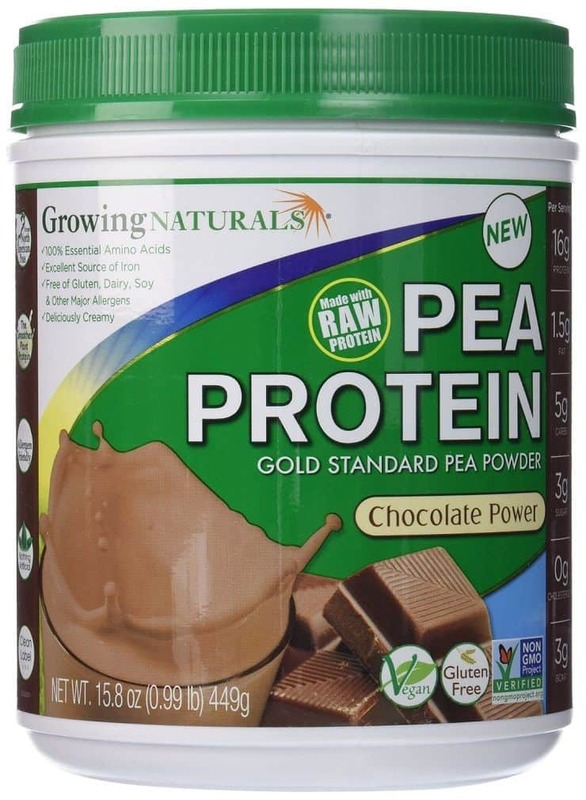 I’ve tried several of the protein powders you listed and I agree about the pea protein (yuk!). 😉 The one I use every morning it is considered a meal replacement because it has so much protein – 24 grams. It’s from Sta-Natural, and comes in chocolate & vanilla. I usually shake it up in my mixer bottle or sometimes will add fruit and blend it. I like it because it doesn’t have “junk” in it – no artificial sugars/colors/sweeteners or caffeine. I’ve been using the Trim Healthy Mama integral collagen when I need to add more protein. I lost 20 pounds in three months following the THM plan…and it is all real food! Over the next year I did not loose any weight but dropped two jeans sizes. I’m convinced that it was from increasing my protein intake along with my 4 times a week HIIT exercises (of only 20 minutes a session, I use the Mutu System). Great review Katie! I’m surprised there was no mention of Vega protein powder. It’s a favorite among vegans and non-vegans alike! Our family loves their “proteins and greens” line of products because it’s got the protein and two servings of greens plus it tastes great. My kids 8, 6, and 4 love the vanilla best but hubby and I like the berry flavor best. I have to agree, this stuff is awesome! I put it in banana smoothies to boost protein for my son who is small for his age. I actually bought several containers to keep in my emergency food storage. It would be so easy to incorporate protein into food if you were in an emergency situation without relying on yucky canned or freeze dried meat. 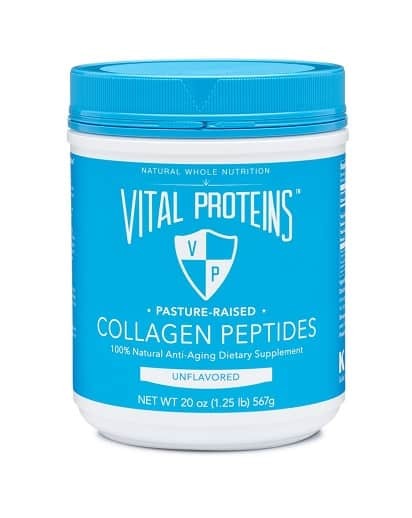 I have tried Vital Proteins collagen and liked it well enough. I could still smell and taste it but much less than any whey protein I’ve tried. However, I understood that whey protein is better if you were interested in gaining muscle and collagen was better for joint health issues and not so much on the muscle building front. Have you seen different research? It seems like why you want the added protein in your diet matters when deciding what type of protein to supplement with. Hi Katie! Thanks for your review! Could you add the Arbonne Vegan Protein Boost to your product review? Happy to send it to you to test it out:) No sweetener, no flavor. Can add to smoothies, baking, lots of great food recipes. Rice, cranberry, yellow pea legume combo- giving it a complete amino acid profile. 100% gluten-free, nonGMO, kosher. I know it will help a lot of people:) Thanks for all you do!